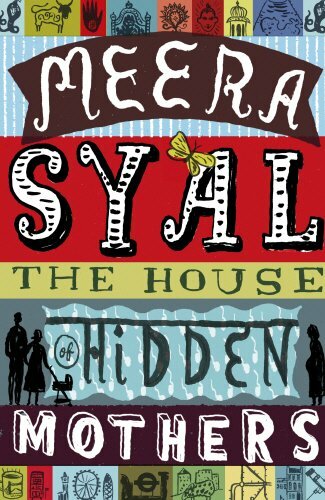 The latest adult fiction on surrogacy in India is The House of Hidden Mothers by Meera Syal. In Delhi a small baby lies alone and abandoned. 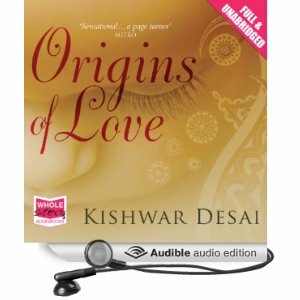 The product of IVF and surrogacy, she had been so coveted – until she was born with a fatal illness. Thousands of miles away in London, Kate and Ben are desperate for a baby. As Kate suffers another miscarriage, she knows something has to change. But will her desire for a baby stop at nothing…? Jules Strauss is a Princeton senior with a full scholarship, acquaintances instead of friends, and a family she’s ashamed to invite to Parents’ Weekend. With the income she’ll receive from donating her “pedigree” eggs, she believes she can save her father from addiction. Annie Barrow married her high school sweetheart and became the mother to two boys. After years of staying at home and struggling to support four people on her husband’s salary, she thinks she’s found a way to recover a sense of purpose and bring in some extra cash. With startling tenderness and laugh-out-loud humor, Jennifer Weiner once again takes readers into the heart of women’s lives in an unforgettable, timely tale that interweaves themes of class and entitlement, surrogacy and donorship, the rights of a parent and the measure of motherhood. “I’m not over 40 and childless for no reason,” writes Holly Finn. “I smoked in my twenties. I preferred red wine to sparkling water. I ate too much milk chocolate. I liked limericks. I know all the wrong I’ve done. But also, more than any of that, I’ve always longed for children.” Yet there she was: successful, social, mostly happy, and not a mother. Knowing that her chances of becoming pregnant naturally were quickly fading, Finn decided to gamble: she—like some 85,000 other women in the U.S. each year—would attempt in vitro fertilization. Almost three years later, she’s still trying, and in the process has become an accidental pioneer (and, at times, a guinea pig) in the ever-evolving science of IVF. “The Baby Chase” is a primer for anyone contemplating or undergoing IVF. More than that, it’s a story of longing, hope—and hormones—that will appeal to all parents, present and future. In this Byliner Original from the new digital publisher Byliner, “The Baby Chase: An Adventure in Fertility” chronicles what it’s like to go through the IVF process at a time of rapid changes in fertility medicine. Finn takes readers on her intrepid, at times comical, journey through the IVF frontier—from her selection of a fertility clinic to her first hormone shot to her most recent experiments with new treatment methods (testosterone gel, anyone?). Candidly, and with good humor, she discusses dream-date sperm donors, nightmare boyfriends, and rampant emotions. And she addresses thorny issues such as adoption, egg donation, and the loneliness and social ostracism associated with IVF. Will her story end with a baby? Only time and technology will tell. The perfect candidate to carry their child…with the perfect opportunity to destroy their lives. When Kyle Dolan convinces his wife, Bethany, to hire a surrogate for their last surviving embryo, they allow themselves to hope once again. A med school student, Laurel Bergin seems perfect in every way. Problem is–Laurel Bergin is really Sable Lynde. As the pregnancy progresses, Sable’s dark secrets surface, and her inner demons spill out into the Dolans’ lives. In a terrifying encounter, Sable is injured and lapses into a coma. Now the Dolans face psychological and supernatural forces they never knew existed. Fearing for their sanity, their own lives, and the life of their baby, they confront the surrogate–and the darkness surrounding her–in a heart-stopping climax that will keep you reading late into the night. SYNOPSIS Maggie and Gordon Reed with their daughter Abigail are just getting settled on their farm in eastern Kansas when Maggie s sister dies. Maggie blames herself for her sister s death, and her grief is so great that she decides to jeopardize her marriage and her own child s health as she enters into an improbable relationship with Rita Montreaux and her husband John. Reluctant Miracle is the tale of these two women, one elegant and black, the other down-to-earth and white, as they clash in their search for a middle ground where they can work out their differences. REALITY- Sam, a physician with lifelong religious uncertainties, meets Patrick, an architect who always wanted to be a father. As they reach forty pondering their own mortality they embark on a journey to create a family. Their exploration of adoption. A Handmaids Tale. Margaret Atwood. In a startling departure from her previous novels ( Lady Oracle , Surfacing ), respected Canadian poet and novelist Atwood presents here a fable of the near future. In the Republic of Gilead, formerly the United States, far-right Schlafly/Falwell-type ideals have been carried to extremes in the monotheocratic government. The resulting society is a feminist’s nightmare: women are strictly controlled, unable to have jobs or money and assigned to various classes: the chaste, childless Wives; the housekeeping Marthas; and the reproductive Handmaids, who turn their offspring over to the “morally fit” Wives. The tale is told by Offred (read: “of Fred”), a Handmaid who recalls the past and tells how the chilling society came to be. This powerful, memorable novel is highly recommended for most libraries. BOMC featured alternate. Ann H. Fisher, Radford P.L., Va.
Robin Cook, master of bestselling medical thrillers, answers the “What’s the worst thing that could happen?” question in this plot-twisting novel in which villains with no sense of ethics or social responsibility get their greedy hands on the newest cloning technology. It starts when a couple of Harvard graduate students answer the Wingate Clinic’s ad for egg donors. The women figure on financing a year in Venice and the down payment on a Boston condo with the extraordinary sum they’re promised. But a year later, the heroines feel the emotional need to seek out the children they’ve made possible for infertile couples. So they disguise themselves and seek jobs at the clinic in order to access the identifying information. The clinic, as it turns out, has plenty of secrets to protect, so it’s hard to believe that a pair of computer neophytes could bypass its security. But they do, and the author is an adept enough writer to finesse this detail. As in past books, Cook is much better at the technical details of medical research than he is at characterization, but he definitely knows how to plot a thriller. This one keeps you turning the pages until the final denouement, though the last chapter ends abruptly, leaving the reader to wonder whether he ran out of steam or is just setting up a sequel in which he’ll recycle the villains in a new scheme with a new pair of victims. –Jane Adams –This text refers to an out of print or unavailable edition of this title.